President Julius Maada Bio, who took office in April, has cancelled a loan deal signed by his predecessor for China to build a new $400 million international airport at Mamamah. The government now says the project is “uneconomical” given its only existing international airport is “grossly under-utilized.” The new airport was supposed to be completed by 2022. Sierra Leone’s decision to cancel the project tails earlier warnings by the World Bank that the airport loan would increase its debt burden. 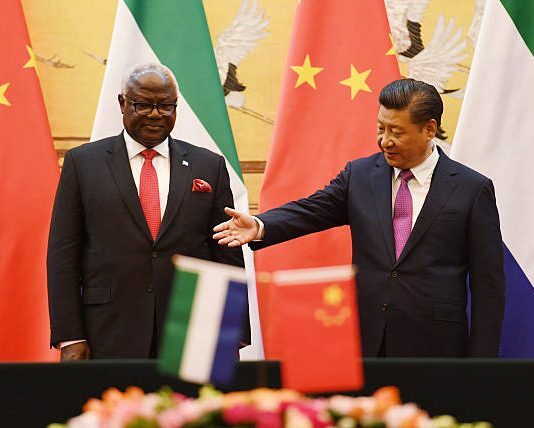 It also comes at a time when China’s so called “debt-trap diplomacy” in Africa is increasingly under scrutiny. It’s a sentiment China has been keen to rail against. During the FOCAC summit last month—while pledging an additional $60 billion funding to African nations—president Xi Jinping claimed China’s “win-win” co-operation policy with Africa ”follows the principle of giving more and taking less, giving before taking and giving without asking for return. News of the plan to cancel the Chinese airport loan comes a few days after a team from the International Monetary Fund wrapped up a three-week long mission to the country. The IMF said the country’s economic environment remains challenging, with output growth expected to be under 4 % amid high inflation as it’s still recovering from a recent loss in iron ore mining and reduced activity in the non-mining sectors. The fund also welcomed the country’s attempts to stabilize its public debt and improve economic management.